It billed itself as “The Sound of Young America” and the music travelled all over the world, bringing soul to millions. The Tamla Motown label scored hit after hit, making stars of so many artists, and influencing others, from the Beatles to the Jam. 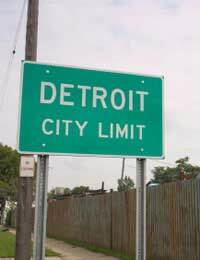 Other than automobiles, it was certainly the biggest thing to come out of Detroit, all controlled by Berry Gordy, the former factory worker who’d founded the label. It became an industry, finally decamping from Detroit to Los Angeles in the 1970s, much to the dismay of many. Motown became a brand, launching the careers of Michael Jackson, Marvin Gaye, Diana Ross, Stevie Wonder and many others. Simply because of its stature and history, you’d imagine there’s a good market in Motown memorabilia. However, very, very little comes up for sale. Much Motown memorabilia was stored in a Detroit building by Gordy, who still has plans to build a Motown Centre in Detroit. According to a few blogs, some people who broke into the building were able to find signed notes from Gaye to his wife and other artefacts. However, as the building has been torn down, no one seems certain of Gordy’s future plans. There is, however, a Motown Café (along the lines of the Hard Rock Café chain) in Orlando, Florida, which is decorated with Motown memorabilia, and may represent the first of many similar restaurants. What that does mean is that, apart from items belonging to the individual artists, most Motown memorabilia belongs to Gordy – and he shows no sign of wanting to sell any of it. The difficulty, of course, is finding it. A double bass belonging to James Jamerson, the lauded bassist in the Motown session band, appeared at auction last year, and a charity auction for a leukaemia victim brought some memorabilia from soul fans, but these are the exception, rather than the rule. The fact that so little has been bought and sold is both good and bad. Collectors will pounce on whatever does come up, but no prices have been established, so it may be possible to obtain smaller items very reasonably. It also means that for re-selling (assuming there’s no sudden flood of artefacts); prices will rise, making Motown memorabilia a good investment. Some might argue that interest is lower because collectors are, in general, less interested in black music, but that’s a flawed argument. Collectors go for important music, and little was more important in the 1960s than Motown. If you’re looking for items, it’s best to search by individual artists, although finds are few and far between. Steve Wonder crops up more than most, with an autograph for £250 and a platinum disc for £500. Gaye was the best-selling of all the Motown artists, but again, very little memorabilia has appeared, although he died in the 1980s. A 2006 auction, however, did bring four manuscripts of his to light, arrangements for his songs, the first time such an item had appeared. But as an indication of his collectability, a 1979 signed document was offered by a dealer for £2,000 and an annotated cheque for £1,500. Beginning her career with the Supremes, Diana Ross went on to become a superstar. Again, though, there’s very little memorabilia available. You can find old publicity pictures or even cels from her movies for £30.00. However, although she sold a lot of records in her career, she’s not revered in the way some of her Motown compatriots are. In short, if you see good Motown memorabilia that you can afford (and it’s authentic), it’s worth spending the money. This is a market that’s likely to rise in the next few years.